TENAFLY, N.J.(May 23, 2017) – Four action-packed fights on the “Brave Warriors in Action” card, co-promoted by A & T Events and Promotions and Mundo Boxing, will air live this Saturday night (May 27) on pay per view from Merida Yucatan, Mexico. 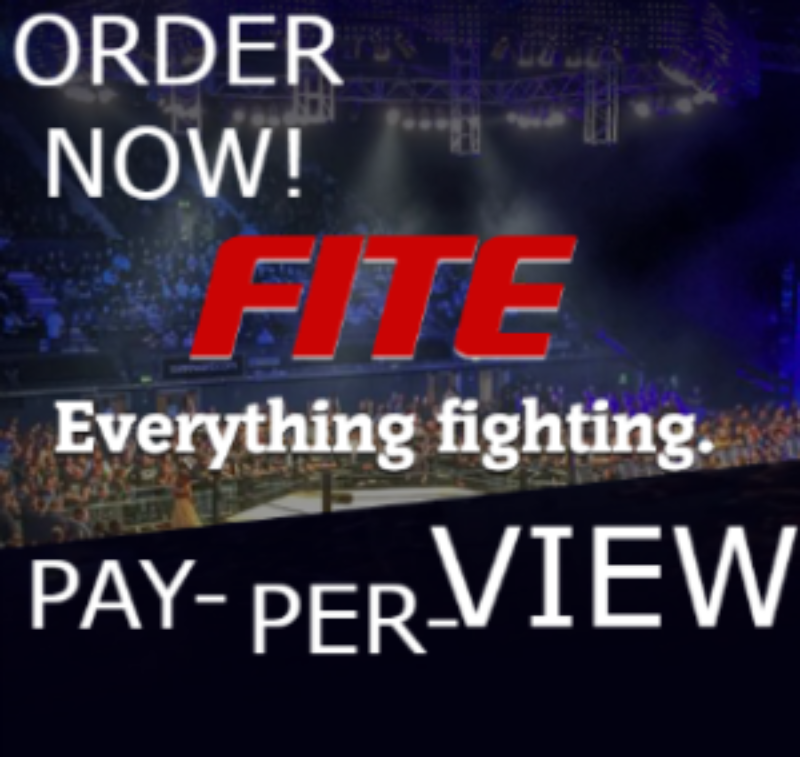 Available on the FITE app and website (www.FITE.tv), for a suggested retail price of only $24.95. Hometown favorite Manuel “El Venado” Ceballos (12-1, 8 KOs) battles veteran Argentinean fighter Cesar Hernan Reynoso (14-8-4, 7 KOs) for the vacant World Boxing Organization (WBO) Latino super middleweight title in the 10-round main event. 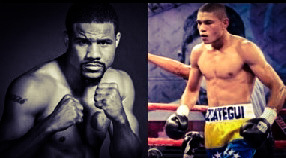 In the 10-round co-feature, undefeated Colombian knockout artist Romar Alexis Angulo (21-0, 18 KOs) will be showcased against another tough Argentinian super middleweight challenger, Rolando Mansilla (13-3-1, 5 KOs). Angulo is world rated by the WBO at No. 12 and No. 13 by the International Boxing Federation (IBF). Something must give in the potentially explosive eight-round middleweight match-up between Elias “Latin Kid” Espadas (14-3, 9 KOs), who will be fighting at home, and his fellow Mexican opponent, Michelle “El Bravo” Rosales (34-12, 27 KOs). In the six-round heavyweight bout opening the PPV broadcast, Tyrone “King of the Ring” Spong (8-0, 8 KOs) puts his perfect pro record on the line against Juan Carlos “Chino” Salas (6-11, 4 KOs). A native of Suriname who fights out of Miami, the 6′ 2″, 230-pound Spong is a former professional kickboxer (74-7-1, 46 KOs). 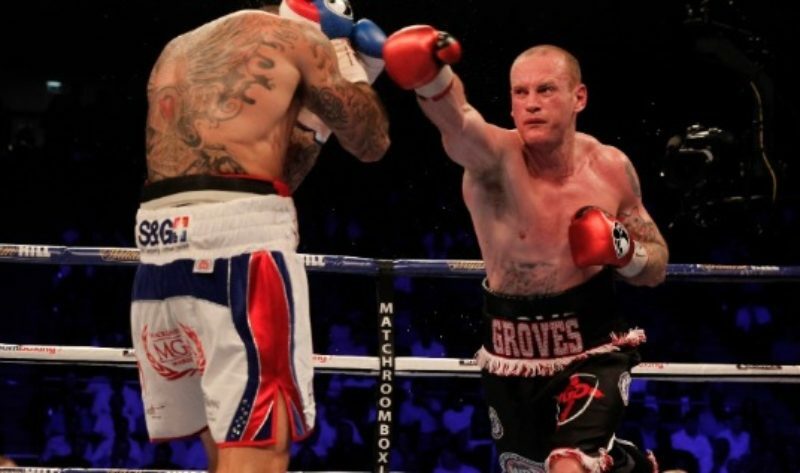 George Groves (25-3, 18 KOs) believes the time is right for him to be crowned World Champion when he meets Fedor Chudinov (14-1, 10 KOs) on Saturday, May 27 at Bramall Lane in Sheffield, live on Sky Sports Box Office. The Hammersmith man will be challenging for the vacant WBA World Super Middleweight strap in his fourth World title attempt following two epic clashes with domestic rival Carl Froch and a split decision loss to Badou Jack. Since linking up with coach Shane McGuigan, the 29 year-old has secured four successive victories to pave the way for his latest World title tilt, and the ‘Saint’ says now he is ready to realise his ultimate ambition and capture the WBA belt. ‘’My training has gone well and I feel really sharp,’’ said Groves. ‘’I don’t feel rushed or like I’ve had to sacrifice anything, and come Saturday night, I’ll be firing on all cylinders and ready to do some damage. ‘’Chudinov is a good opponent. The belt is vacant because he lost his last one but he was a bit unlucky in that fight. There are still some unknowns about him. We haven’t seen how far he can be pushed, but I know I’m capable of beating him. ‘’I believe this is the best opportunity for me to achieve my dream and become World Champion. Time is on my side. I had a good year last year, and I’m in a good place. I’ve put in the work, and now, I need to make this count. ‘’Everything that’s happened in the past has made me more determined. I know the pressure is on, and I can’t afford to make any more mistakes. This might be my best chance to win a World title, but it could also be my last. Groves’ clash with Chudinov is part of a huge night of action in Sheffield as Kell Brook defends his IBF World Welterweight title against mandatory challenger Errol Spence. New York, NY (5/22/17) – On Saturday, June 3, DiBella Entertainment will return to the Fox Theater at Foxwoods Resort Casino, in Mashantucket, CT, for the latest exciting installment of its popular Broadway Boxing series, presented by Nissan of Queens, Azad Watches, OPTYX, and Christos Steak House. 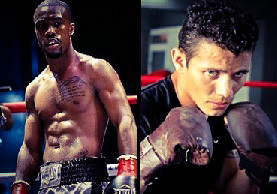 The card will feature a bevy of New England talent, including fan favorite Shelly “Shelito’s Way” Vincent in an eight-round special attraction featherweight bout, as well as lightweight Matt Remillard on the comeback and welterweight prospect Mykquan Williams on the rise. One of the most popular fighters out of the New England area, Shelly “Shelito’s Way” Vincent (19-1, 1 KO), born in New London, CT, but now residing in Providence, RI, will compete at Foxwoods for the seventh time, in an eight-round featherweight bout. Last August, Vincent entered enemy territory to challenge rival Heather Hardy in her adversary’s hometown of Brooklyn, NY. Their highly publicized grudge match was nationally televised by NBC Sports Net and was hailed by Ring Magazine as the “Female Fight of the Year” for 2016. Vincent was also honored by the Connecticut Boxing Hall of Fame as their “Fighter of the Year” for 2016, becoming the first female recipient of the award. She rebounded from her only defeat with a unanimous decision victory on December 2, back home in Rhode Island. 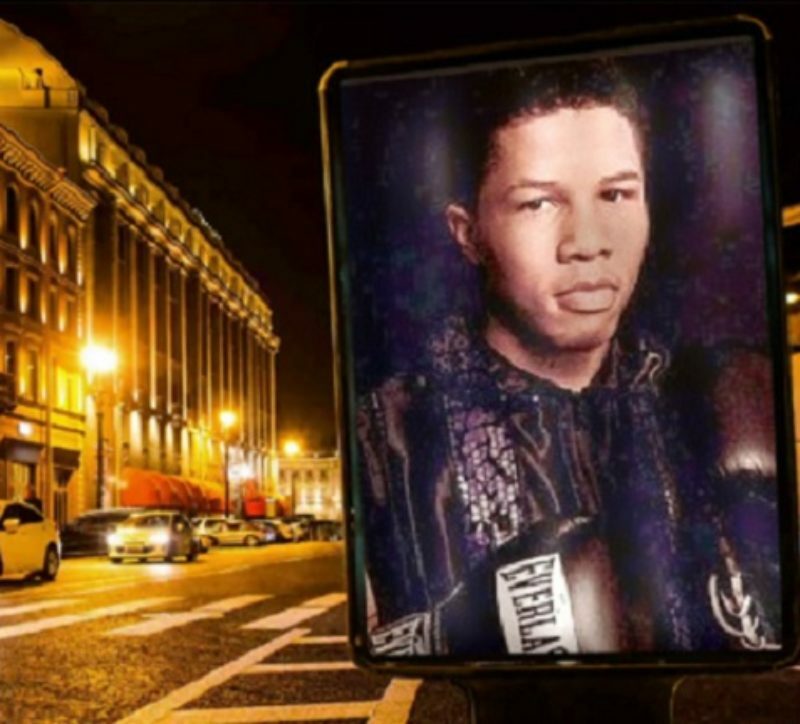 Before turning pro in October 2011, Vincent was a Connecticut State, Connecticut Golden Gloves, and National Golden Gloves champion as an amateur. 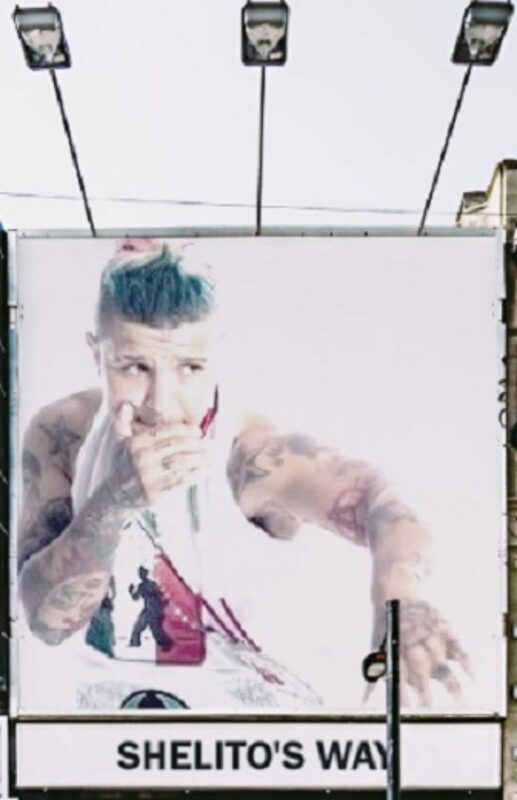 Managed by Mike Criscio and trained by Peter Manfredo Sr., Vincent signed with DiBella Entertainment in 2016. Matt “Sharp Shooter” Remillard (24-1, 13 KOs), of Hartford, CT, will continue his comeback, following a six-year ring absence, in an eight-round lightweight bout. It will be his first fight in his home state since November 2010. A pro since 2005, Remillard is a former WBC Youth, WBC-USNBC, NABF and NABO featherweight champion. His only loss came in March 2011 to the unbeaten Mikey Garcia, now the WBC world lightweight champion. He is trained by Paul Cichon, a local legend and community leader, out of Manchester Ring of Champions Society boxing gym. As an amateur, Remillard accumulated a record of 115-25, and was a two-time Everlast Under-19 National amateur champion. Highly touted East Hartford welterweight prospect Mykquan Williams (6-0, 4 KOs) has kept a busy pace since turning pro last April. Promoted by DiBella Entertainment and managed by Jackie Kallen, the 19-year-old Williams will return to Foxwoods, where he has built a strong following, for the sixth time, in his first scheduled six-rounder. Williams is also trained by Cichon, whom he’s known since he was a child and looks upon as a surrogate father. His biological father was murdered when Mykquan was just a week old. Williams was a decorated amateur with a 45-13 record, highlighted by three gold-medal performances at the Ringside World Championships, in addition to winning the PAL Tournament and Silver Gloves Championships. Unbeaten New York-based heavyweights will collide in their toughest tests to date, when Russian Ruslan Shamalov (4-0, 3 KOs) meets Dominican George Arias (6-0, 3 KOs) in a six-round contest. Born in Cherkessk, Russia, and now living in Brooklyn, the 6’5″ Shamalov was a two-time amateur MMA champion before switching to boxing and engaging in 30 amateur bouts while participating on the Russian National team. Shamalov turned pro in October 2016 and is trained by Eduard Kravtsov out of Wild Card Gym, in Los Angeles, CA. In his last bout on April 5, Shamalov returned home to Russia and registered a first-round knockout versus Oleksandr Nesterenko in 43 seconds. Arias was born in San Francisco de Macoris, Dominican Republic, then moved to New York City in 1996, at four years old. However, it wasn’t until graduating high school that Arias learned to box at Morris Park Boxing Gym near his home in The Bronx. He won the New York Golden Gloves tournament in 2014 then turned pro that October. Arias recently returned from a 13-month ring hiatus with a four-round unanimous decision versus Jamal Woods in Lawrenceville, GA, on April 29. Cuban cruiserweight Luis Garcia (14-0, 11 KOs), based out of Peekskill, NY, will see action in a six-round bout. After being denied a berth on the Cuban Olympic team, despite winning in the Cuban Olympic qualifiers preparing for the Games in Beijing, Garcia defected from his native land and settled in Cork, Ireland, where he turned pro in September 2008. Having built his record to a perfect 11-0 over the next 26 months, Garcia then relocated to the United States to resume his career. On December 5, 2015, Garcia made his New York debut at Barclays Center, in Brooklyn, earning a 63-second knockout versus Willie Williams. Anther first-round knockout followed in his last bout on June 25, 2016, at Buffalo Run Casino, in Miami, OK.
Russian amateur prodigy Radzhab Butaev (5-0, 4 KOs), co-promoted by DiBella Entertainment and Fight Promotions Inc. and managed by Vadim Kornilov, will make his second appearance at Foxwoods in an eight-round contest. On November 19, Butaev earned an eight-round shutout victory versus experienced Hungarian Gabor Gorbics to win the NABF junior middleweight title. In his last bout, on April 5, Butaev returned to Russia to stop Baxrom Payazov inside one round. The 22-year-old Butaev, born in Salsk, Russia, and now living in Los Angeles, was a highly accomplished amateur, having compiled an incredible 304-12 record, with 164 knockouts. He participated in the World Series of Boxing as well, finishing at 9-1. A native of the boxing rich city of Bayamon, Puerto Rico, Jose Roman (3-0, 3 KOs) will make his US debut in a four-round welterweight contest. Roman began boxing at 13 years of age amassing a stellar 124-17 amateur record along the way. He joined the Puerto Rican National team in 2012, winning three consecutive National championships from 2013-2015. Junior welterweight Jonathan Figueroa (2-1, 1 KO), of Hartford, CT, will fight in a four-round contest. Managed by Vinny Scolpino, Figueroa turned pro on a Broadway Boxing card held at Foxwoods on September 1 last year. Training out of Hartford PAL gym, Figueroa was a 2012 Golden Gloves champion as an amateur. Welterweight Khiry Todd (3-0, 3 KOs), from Lynn, MA, will make his Connecticut debut in a four-round contest. The 25-year-old Todd had 40 amateur bouts and won the New England Golden Gloves tournament before turning pro last December with a 42-second demolition of Patrick Leal. GERVONTA DAVIS STOPS WALSH IN 3- What’s Next for the 22yr old Champion? Saturday night at the Copper Box Arena, London England, 22yr old Gervonta Davis defended his IBF World super featherweight title for the first time, against undefeated Liam Walsh. It was the opinion of many, this would be the toughest bout of Davis career, more so than his title win over Jose Pedraza last January. That opinion, was not in reference to the talent difference between Pedraza and Walsh but atmosphere, we have seen, established champions and veterans fold in the UK atmosphere, let alone a 22yr old in his first title defense. The undefeated Walsh, started out well avoiding Davis big shots in the opening round, giving his home town supporters hope. The relentless pressure, composure and determination of Davis proved too much. A hook that stunned Walsh in round three, sent him to the ropes. As Walsh tried to avoid the continuous attack of Davis, a right hook landed that shook his legs, encouraging referee Michael Alexander to halt the contest at 2:11 seconds of round three. With the win and first title defense behind him, Gervonta Davis improved to 18-0 (17), Liam Walsh now stands at 21-1 (14). This and Pedraza fight showed, just a glimpse of Davis potential, he appears to have a very bright future ahead of him. Its a division stacked with grizzled veterans, world champions who rather wage “War” than box, plus an offensive and defensive “Pound for Pound” genius. The difficulty now is, which fights to make without having him too deep, yet not having him take a step back. Featherweight- Ryan Walsh 22-2-1 (11) def. Marco McCullough 14-4 (10) via TKO 11. Light Heavyweight- Anthony Yarde 11-0 (10) def. Chris Hobbs 6-2-1 via TKO 4. Super Welterweight- Joe Pigford 13-0 def. Aarron Morgan 12-1 via KO 5. Light Heavyweight- Lerrone Richards 7-0 def. Bosko Misic 11-5 via UD 6. Lightweight- Archie Sharp 8-0 def. Tamas Laska 19-15-1 via TKO 3. Super Welterweight- Sammy McNess 7-0 def. Zaurs Sadihovs 4-18 via UD 6. Super Lightweight- Mitchell Smith 15-1 def. Lee Connelly 6-25-2 via UD 6. Super Featherweight- Boy Jones 12-1-1 def. Norbert Kalucza 14-10 via UD 6. Heavyweight- Daniel Dubois 4-0 def. David Howe 13-7 via KO 1. Super Lightweight- Sanjeev Sahota 7-0 def. Steven Backhouse 1-6-1 via TKO 3. Super Lightweight- Ben Smith 5-0 def. Youssef Al Hamidi 14-108-3 via UD 4. Super Flyweight– Sunny Edwards 4-0 def. Gyula Dodu 12-4-1 via TKO 1. It was sadly reported Friday afternoon, twenty five year old David Sanchez and twenty three year old Jonathan Sánchez Cantu, were driving in Northern Mexico when their car was involved in an accident. 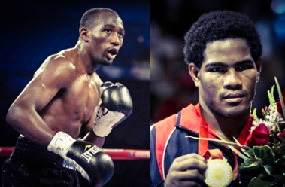 The fighting brothers out of Hermosillo, Sonora, Mexico, both passed away before medical help could be administered. David “Tornado” Sanchez was a former, WBA “Interim” World and WBC Silver Super Flyweight title holder. With a record of 31-4-2 (25), Sanchez fought recently as April 7th 2017 and was a regular on Azteca and BeIn sports network broadcast. His brother Jonathan Sánchez, was last in the ring on April 28th, when he fought for the, WBC Youth Silver super bantamweight title. It’s always a sad moment, to learn about any passing of our warriors, learning of two especially at such young ages, is truly heartbreaking. On behalf of myself and everyone here at the “TalkinBoxing With Billy C TV & Radio Show”, we offer our deepest condolences to the family and friends of David and Jonathan Sánchez. May they stand, with other fallen champions knowing “Their efforts and dedication to the sport, will always be appreciated”. 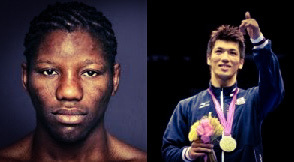 Results from Japan- N’Dam claims world title, Japanese prospects excel! 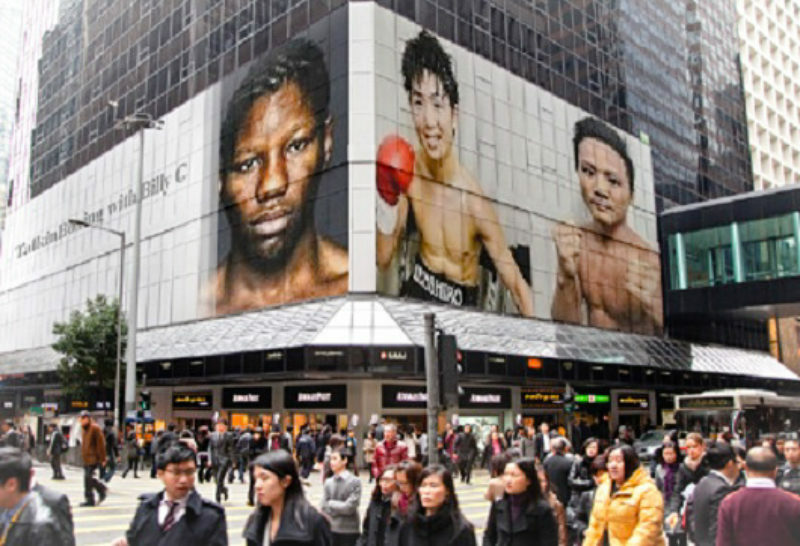 Saturday May 20, in Tokyo Japan, Teiken Promotions put on a world title triple header, headlined by a vacant WBA “Regular” middleweight world title contest between Hassan N’Dam N’Jikam and undefeated Ryota Murata. 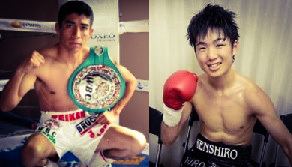 The co-features, would be between veteran WBC, flyweight and light flyweight champions Ganigan Lopez and Juan Hernandez Navarrete, taking on rising Japanese prospects, Ken Shiro and Daigo Higa. In the main event, multi-time middleweight “Interim” belt holder and world title challenger, Hassan N’Dam N’Jikam would finally claim a full version of a world title. In 2012 N’Dam, lost a bid against Peter Quillin for the divisions WBO title and in 2015 he lost an attempt, at claiming the divisions vacant IBF belt when he took on power puncher David Lemieux. Against Quillin and Lemieux, he would go down a combined ten times before losing decisions, Saturday “Third time was a charm”. Without suffering a knockdown, N’Dam claimed the WBA “Regular” middleweight world title, by unanimous decision, official scores read 115-112, 116-111 and 117-110. The new WBA “Regular” middleweight champion, Hassan N’Dam N’Jikam improved to 36-2 (21), Ryota Murata after suffering his first defeat drops to 12-1 (9). A bit of “Deja Vu” took place, for veteran WBC light flyweight champion Ganigan Lopez, when he attempted to defend his title aginast relatively inexperienced 9-0 Ken Shiro. The last time Lopez fought in Japan, was 2015 when he scored a majotity decision over then champion Yu Kimura. After making a successful title defense, over Jonathan Taconing back home in Mexico, Lopez returned to Japan and lost his title, just as he won it by majority decision. Official scores read, 114-114 and 115-113 twice in favor of Shiro. The new WBC light flyweight champion, Ken Shiro improves to 10-0 (5), Ganigan Lopez now stands at 28-7 (17). A new WBC World flyweight champion was crowned, when Daigo Higa scored a sixth round stoppage over Juan Hernandez Navarrete. The last time, 37 bout veteran “Churritos” Hernandez fought in Japan was in 2011, when he failed to claim the WBC World Minimum-weight title from then champion Kazuto Ioka who currently holds the WBA Flyweight title. In March of this year, Juan Hernandez Navarrete claimed the WBC flyweight strap, with a third round stoppage victory over Nawaphon Kaikanha in Thailand. At the official weigh-in’s Friday, Navarrete failed to make the required 112lb limit and lost his title on the scales. With the title at stake for Higa only, after five close rounds a seemingly fading Navarrete had no more answers for the younger fresher Daigo Higa and was stopped at 2:58 of the sixth round. The new WBC World flyweight champion Daigo Higa improved to 13-0 (13), Juan Hernandez Navarrete drops to 34-3 (25). May 20th is an action packed night of boxing worldwide, champions and top contenders step in the ring from NY to Japan, pursuing their quest towards boxing supremacy. Yet not everyone, had an easy time making weight, one champion won’t even enter the ring as a “Title Challenger”. What will it all mean come fight night? It could mean nothing or it could mean everything. 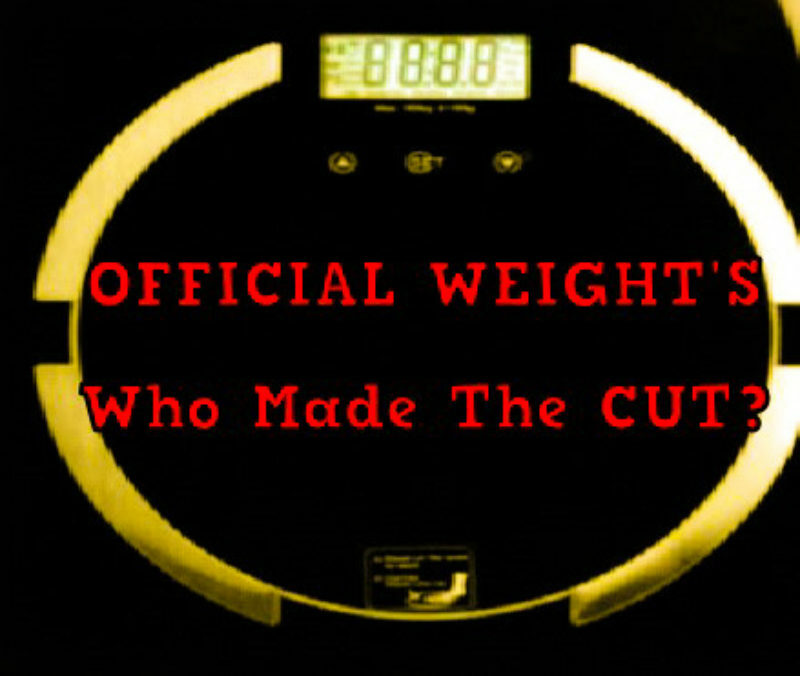 Here are the official weights, reported from around the globe. Madison Square Garden LIVE on HBO, Terence Crawford defends his WBC and WBO Super Lightweight titles. against Felix Diaz. 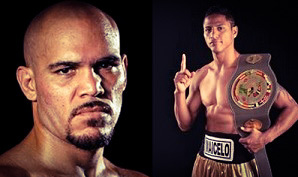 In the co-feature, former world title challenger Ray Beltran defends his NABF and WBO NABO lightweight titles against Peru native Jonathan Maicelo. Terence Crawford 139.2 lbs Felix Diaz 139.4 lbs. Ray Beltran-134.6 lbs Jonathan Maicelo 134.8 lbs. In England on Showtime, Gervonta Davis looking to make the first defense, of his IBF World super featherweight title against undefeated challenger Liam Walsh, needed three attempts, before making the 130 lb limit. Gervonta Davis 130 lbs. Liam Walsh 130 lbs. At the MGM National Harbor, in Oxon Hill, Maryland also on Showtime, WBC featherweight champion Gary Russell Jr defends his title against Oscar Escandon. In the co-feature, former world title challenger Andre Dirrell takes on Jose Uzcategu for the vacant “IBF Interim” Super Middleweight title. Gary Russell Jr., 125 1/2 lbs. Oscar Escandon 125 3/4 lbs. Andre Dirrell 167 1/2 lbs. Jose Uzcategu 166 1/2 lbs. Noel Gevor 198.8 lbs (90.2 kg) . Krzysztof Wlodarczyk 199 lbs (90.3 kg). In Laredo, Texas, at the Laredo Energy Arena on Fox Sports 1, rising undefeated Super Middleweight prospect, David Benavidez faces veteran Rogelio “Porky” Medina in a WBC super middleweight elimination bout. That title was vacated, by Badou Jack after his draw against IBF champion James DeGale earlier this year. David Benavidez 167.8 lbs Rogelio “Porky” Medina 166.8 lbs. At the Ariake Colosseum, in Tokyo Japan, Hassan N’Dam N’Jikam and Ryota Murata headline for the vacant “WBA regular middleweight title”. Hassan N’Dam N’Jikam and Ryota Murata both weighed 159.5 lbs. The co-feature, a WBC light flyweight title bout between champion Ganigan Lopez and Ken Shiro also came in at identical weights. Ganigan Lopez and Ken Shiro both weighed 107.5 lbs. The one champion, that lost his titles without stepping in the ring was Juan “Churritos” Hernandez, who had just won the vacant WBC flyweight title, slightly over two months ago when he stopped Nawaphon Kaikanha in three rounds. On his first attempt, Hernandez missed the 112 pound limit, weighing 113 lbs even. He would try again forty minutes later and weigh 112.5 lbs. That would be his last attempt, before losing his title without further efforts. Juan “Churritos” Hernandez 112.5 lbs. The WBC flyweight title, is at stake for Higa only. The weights are in, some had a harder time than others, all we can do now is hope for great performances from all. Oneida Nation Homelands (May 8, 2017) – Turning Stone Resort Casino is again hosting another exciting night of nationally-televised boxing as Showtime’s series “ShoBox: The New Generation” returns to the Turning Stone Event Center on Friday, June 9. Undefeated junior welterweights Regis Prograis (19-0, 16 KOs) and Joel Diaz Jr. (23-0, 19 KOs) will battle for Prograis’ NABF title in the 10-round main event where only one fighter will walk away with the title and his undefeated record intact. The clash of these undefeated titans takes place on the Friday night of International Boxing Hall of Fame Induction Weekend in Canastota, NY, only a few miles away from Turning Stone Resort Casino. Trained by Bobby Benton out of Houston’s Main Street Gym, Regis Prograis (19-0, 16 KOs) is among ESPN’s “Prospects to Watch.” Three consecutive appearances on “ShoBox: The New Generation” included decisive victories over 11-0-1 Amos Cowart and 14-0-2 Abel Ramos, as well as a crushing first-round stoppage of the experienced Aaron Herrera. Prograis made his New York debut at the Barclays Center on June 26, 2016, stopping Luiz Florez in four rounds to capture the NABF belt. Ranked no. 4 by the WBC, Prograis was sidelined for several months due to an injury suffered at the gym, but returned on February 11 of this year to score a first-round knockout versus Wilfrido Buelvas in defense of his NABF belt. Joel Diaz Jr. (23-0, 19 KOs) turned pro in 2010 following an outstanding 85-10 amateur career. Diaz headlined ShoBox in May 2014, earning a 10-round unanimous decision over 14-1 Canadian prospect Tyler Asselstine. His successful 2014 campaign continued with a 3rd round knockout against 8-1 Kevin Aguilar and a 4th round knockout with one body shot over veteran Pedro Navarette that December. In 2016, Diaz scored three wins by stoppage versus former WBC Youth titlist Abraham Gomez, Brazilian champion Joaquim Carneiro and 15-1 Mario Beltre. 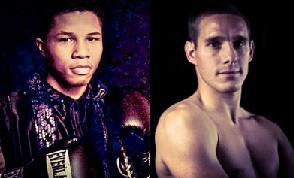 The June 9th ShoBox card at Turning Stone also includes a middleweight bout between Steve Rolls (15-0, 9 KOs) and Demond “D’Bestatit” Nicholson (17-1-1, 16 KOs). A pro since 2011, Rolls, from Toronto, earned the biggest victory of his career in his ShoBox debut on December 11, 2015, stopping 9-0-1 prospect and amateur standout Steed Woodall in four rounds. He has since earned two knockout victories in 2016. Rolls had a very successful amateur career, competing on both the 2009 and 2010 Canadian National boxing team, finishing with an 83-14 record overall. Nicholson is a 24-year-old middleweight from Laurel, MD, with devastating power, scoring all but one of his wins by knockout, including 10 knockout wins during the first round. He has won seven fights with one draw since his only defeat in 2014. Nicholson has impressive wins over former world title challenger Milton Nunez and former IBF Inter-Continental champion Joshua Okine. He is coming off of a draw against 16-0 Immanuwel Aleem, who recently stopped Ievgen Khytrov in a wild back-and-forth brawl that aired on Showtime, though Nicholson appeared to control the action with his size and consistent jab. As an amateur, Nicholson accumulated a record of 110-15 before turning pro in July 2013. Spain’s Jon Fernandez (12-0, 10 KOs) will open up the televised tripleheader in his second appearance on the ShoBox series, competing in an eight-round junior lightweight bout. NEW YORK CITY: “The Common Man”, Joe Smith Jr., (23-1, 19 KO’s), boxing’s best story of 2016, will make his first start of the new year, defending his WBC International Light Heavyweight Title against world ranked Sullivan Barrera, (19-1, 14 KO’s) on Friday, July 15 from the iconic, Fabulous Forum in Los Angeles and live on HBO’s Boxing After Dark (9:50 p.m. ET/PT). Smith vs. Barrera is presented by Joe DeGuardia’s Star Boxing® in association with Main Events. “This is a great opportunity for me. I want to thank my entire team for making this happen. I respect Joe for taking this fight. 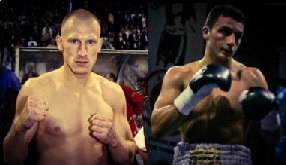 He is a great fighter and I have a tough test on July 15. I will work hard to put on a great show for all the fans,” stated Barrera. 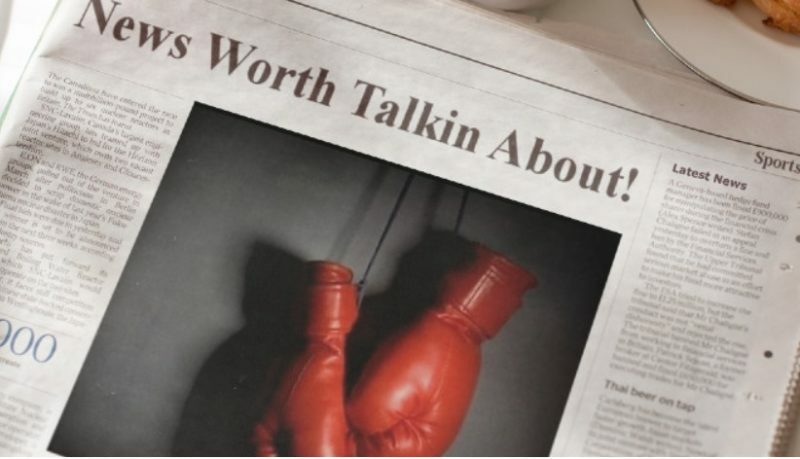 Smith bursted onto the international boxing scene last June, knocking out the highly favored, former world title challenger, Andrzej Fonfara in the first round of a nationally televised contest from the Pole’s hometown of Chicago. Six months later Smith challenged future Hall of Famer Bernard Hopkins at the Fabulous Forum and live on HBO. Dominating the legend on December 17 through the first seven rounds, the construction laborer Smith drilled Hopkins to the canvas and out of the ring earning the knockout in the eighth round. Barrera is riding a two bout knockout streak with victories over Paul Parker on April 15 and Vyacheslav Shabaranskyy on December 16, 2016. His only loss was to light heavyweight champion Andre Ward in March 2016.